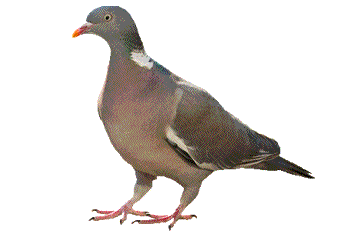 Whether your aim is to protect your valuable crops against scavenging pigeons or to prevent or deal with feral invasions in an urban environment, our UV Stabilised Polyethylene Pigeon Netting is proven to be a reliable long term solution. Proud to be Britain's longest established net-maker, Helston-based Henry Cowls is a family run business. All our nets are made on our own premises to your specific requirements and specifications and delivered in an easy-to-handle flat-pack. Our pigeon nets are available in black, stone and translucent options - to blend with their environment. This means as well as providing powerful protection, the unobtrusive nets do not detract from the buildings themselves. Perfect for vertical, sloping or horizontal surfaces, our pigeon netting is a reliable means of preventing pigeons from walking or perching anywhere they are not wanted. Providing valuable protection for seedlings and both young and more established crops, pigeon nets can be used on their own or in conjunction with your other bird scaring devices. 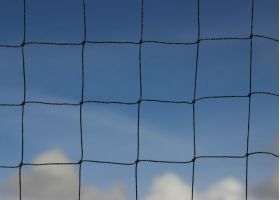 A humane deterrent, our pigeon netting products are constructed from heavy duty, non-stretch, stabilised polyethylene and fully protected against the damage that can be caused by UV light. Combined with the proven most effective mesh size of 50mm, this netting offers a superb breaking strength of 14kg and a light weight of just 0.020kg per square metre. It retains both its shape and its strength for up to two full decades – and it won’t absorb water, even throughout the many fluctuating weather conditions we often endure! Simply select from our three colour options and ten standard size pigeon nets and click ‘Add to Cart’. Of course, we are also happy to create bespoke-sized knotted pigeon netting; simply click here for further details. If you still have any questions, we would be happy to help you through the selection process. Please call 01326 221514… we are ready to take your call! We also provide alternative gauges and net styles for many other bird problems - click here for all our choices.